Strong, ultra-light spurs with an advanced design. 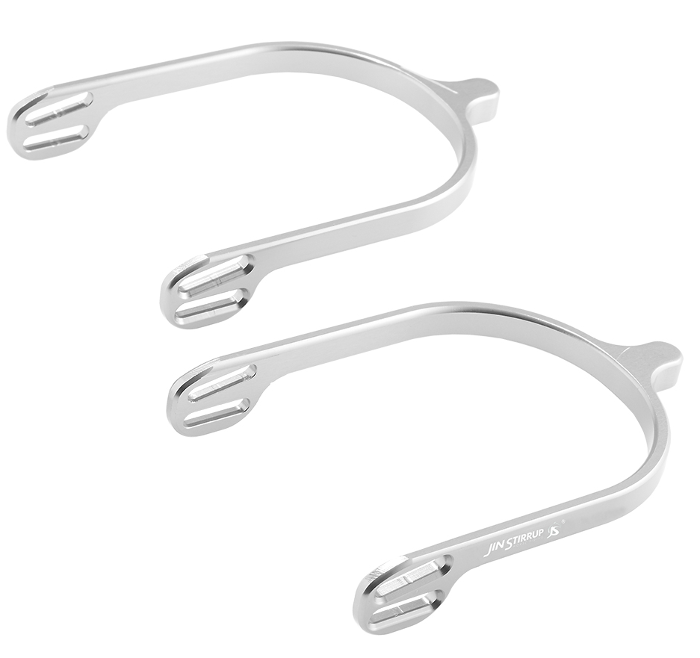 JIN Spurs are characterized by an innovative design and are only 34 grams in weight. Rather than being produced through moulding, they are made from solid aluminum, which makes them very strong, without ever deforming. The spur may be stretched to fit all sizes. 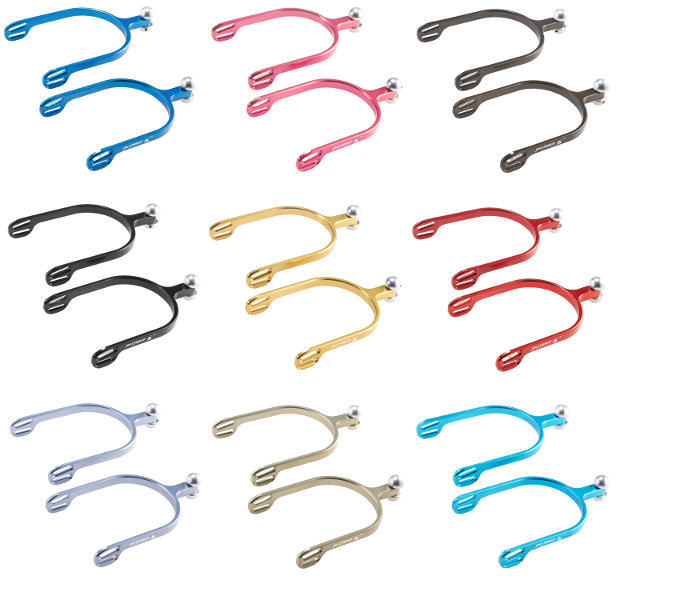 This model comes in 9 colours, through a process called anodic oxidization, resulting in a shiny finish. Laser engraving of your name, horse's name or initials is available for $30.00 per pair (plus tax). Laser engraving is positioned on the outer edge of the spur, facing out. You may choose from different fonts and styles, with up to 15 characters. Please allow an additional 5-7 days for engraving. 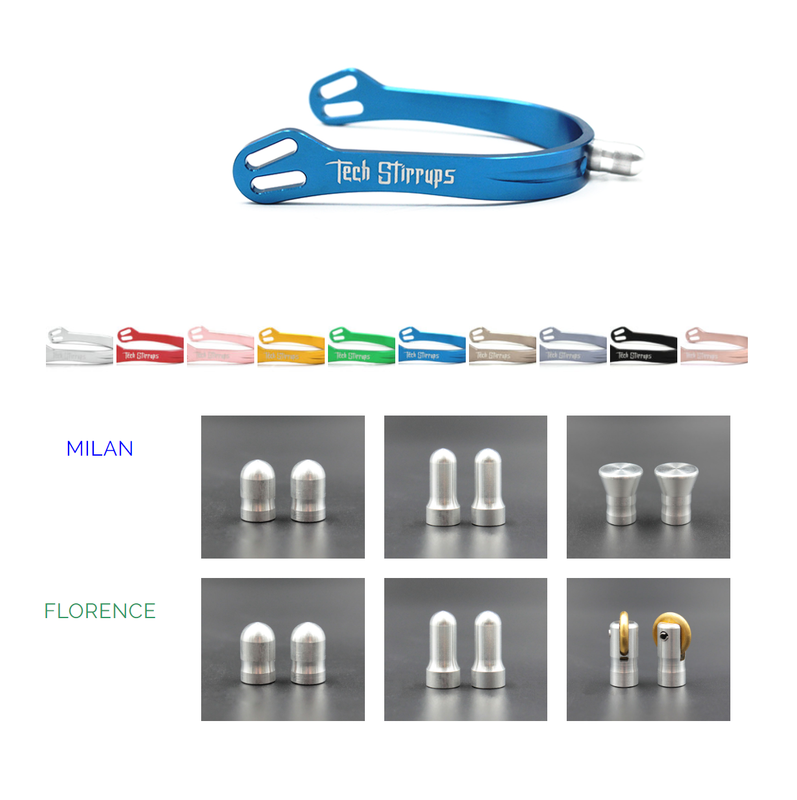 Tech Stirrups spurs are entirely made in Italy, manufactured in aluminium and anodized to preserve their aesthetic quality. 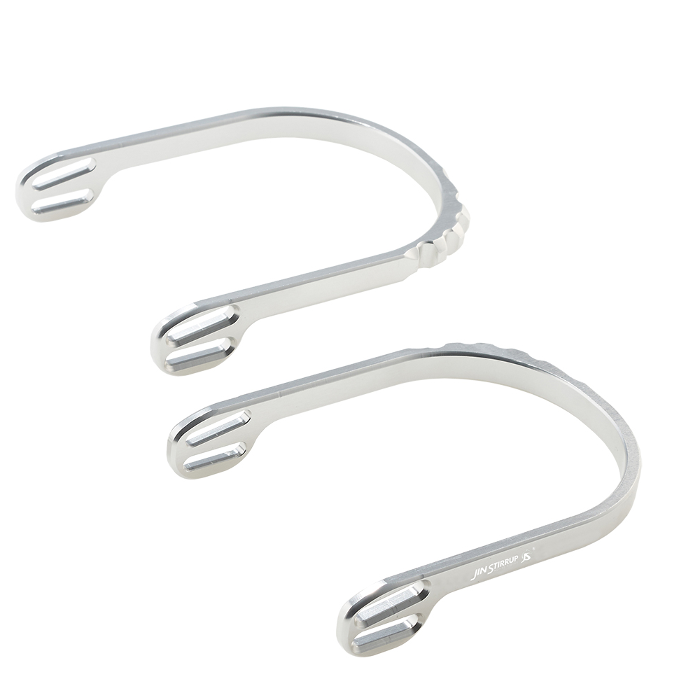 Spurs are provided with a replacement kit containing 3 different tips, easily interchangeable. 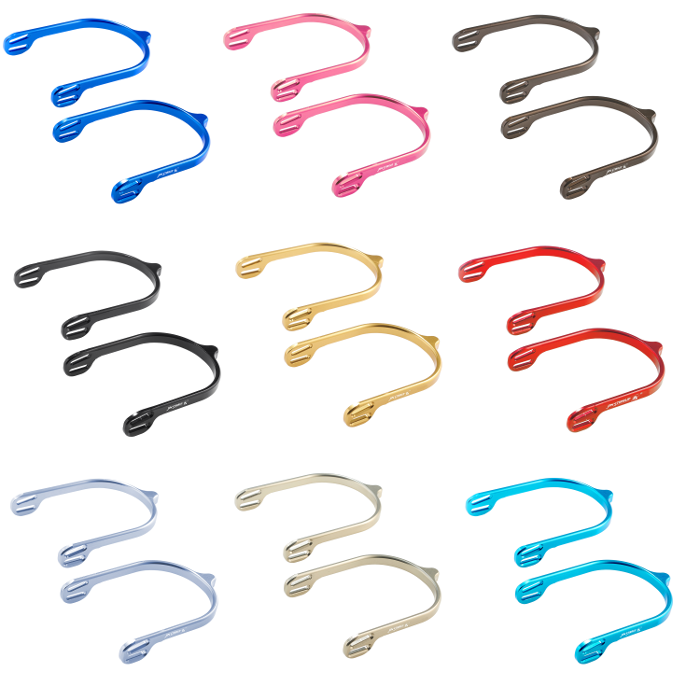 Available colours: silver, red ,pink, gold, green, blue, brown, titanium and black, . 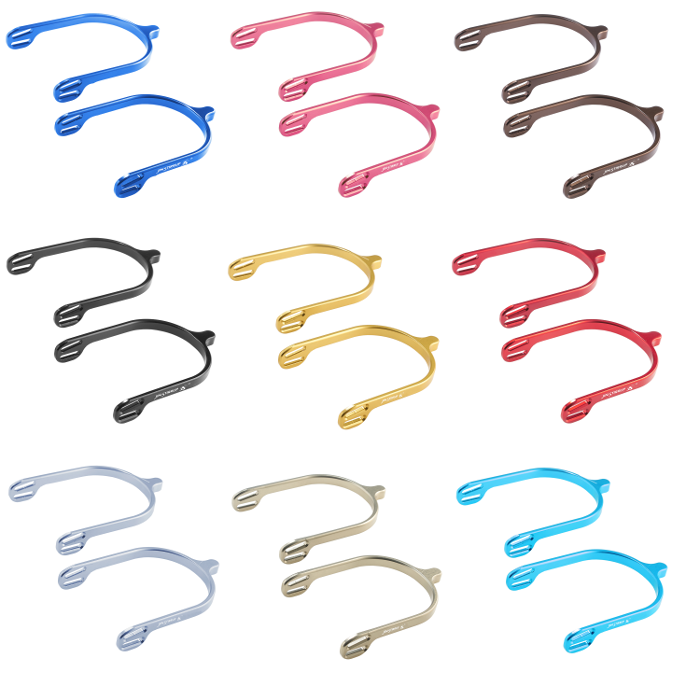 If you open the pages of any tack catalog, you will notice that spurs come in many different shapes and sizes: dull and sharp, long and short, metal and plastic and now even straight and sideways (the rowels that is). The spur is a tool, as are the saddle, bridle and whip, and can be used to affect the horse’s response and to reﬁne, reinforce and reward—I call them the “Four Rs.” I am assuming by the nature of your question that you are ready to begin to ride with more precision. Therefore, you are looking for something to help you achieve that goal. I would like to share a few thoughts about the reasons you would choose to ride with spurs. Reﬁne: Some advanced riders use spurs to allow their legs to make smaller movements to achieve more precise reactions. For example, during a flying-change aid, if a horse was swinging sideways due to being overly reactive to leg pressure, a quick pulse with the spur may help to straighten him and quicken the change. 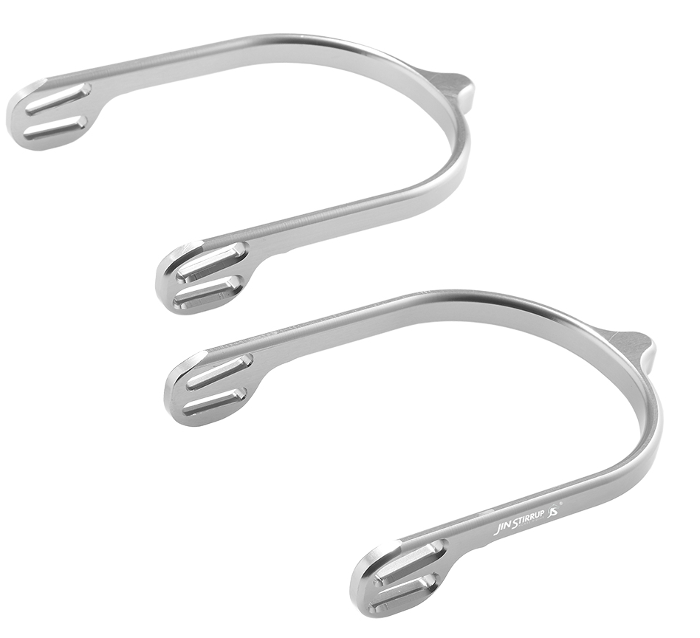 A spur used in this way allows the rider to use less leg pressure, thereby refining the change aid. 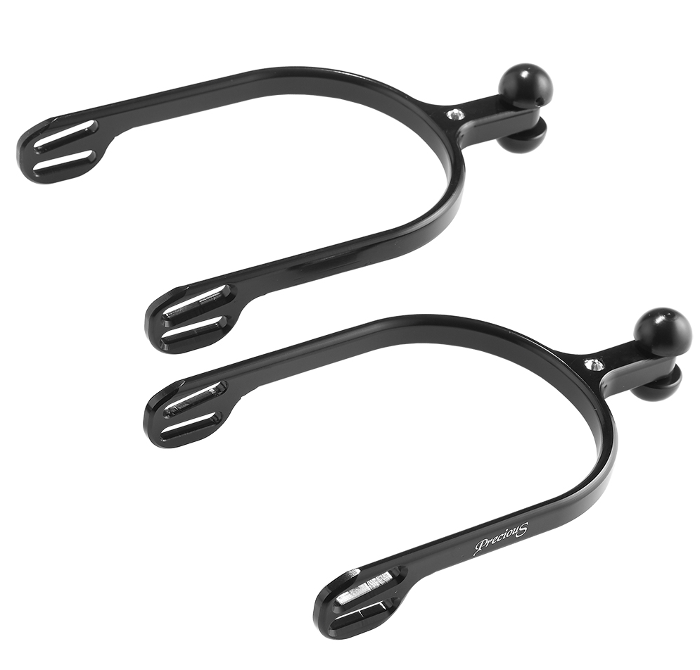 Reward: In the case of sensitive or more advanced horses who do not like to be ridden with a significant amount of leg pressure, the spur can be used to thank the horse for being so responsive. These types of horses often appreciate the clarity of an aid that a properly applied spur can provide. As a trainer and clinician, I am frequently asked questions about spurs. First, before allowing a student to use spurs, I make sure the rider has independent hands, seat and legs. The point of having an independent leg, seat and hand is that you are able to apply one aid without negatively impacting the other(s). If your seat is stable only because you are gripping with your lower legs and hanging on the reins, you are not ready for spurs.Then I determine whether the horse accepts the legs (the horse is comfortable with the rider’s legs gently lying on his sides and moves forward when the legs are applied) and whether the rider/horse combination has a basic knowledge of rhythm, suppleness and connection. You need this basic knowledge so that the application of the spur will enhance the horse’s understanding of these qualities in a calm and quiet manner. If this groundwork has not been established, a spur will only complicate and confuse the horse. Lastly, I use the Four Rs to identify specifically why the rider wants to use spurs.For the choice of spur type and length, I use this golden rule: Use as little as you have to but as much as you need. I would start small and dull (5 mm) and then progress to 15 mm after a few rides, but only if you did not get the desired reaction from the smaller spur. For the beginner rider, the spur should be used to turn up the volume of the leg aid. For example, encouraging the horse to move more forward toward the bit or getting him to step more deeply sideways in a leg yield. The intermediate rider may be using the spur to help the horse understand impulsion, straightness and the beginnings of collection. The length of the spur is not always proportional to the level of the rider; it is more related to the reactivity of the horse. If you are a beginner and have a dull horse, you may need to get a greater response by using a longer spur to reinforce your leg. Conversely, an advanced rider on a hot horse may need only a small, dull spur to reﬁne the aids of the leg.In the case of sharp or pointy spurs, I believe they should be reserved for special cases and used only by advanced riders—someone who has complete control of his or her body and has a clear understanding of the dressage training scale. Remember that using spurs should ultimately give your horse a clearer understanding of what you are asking him to do. Choosing wisely and using prudently will ensure that your horse is a happy athlete as you progress up the levels together. For instance, when you’re leading your horse and you want it to stop; you’ll put some backward pressure on the halter. When the horse stops moving, you release the pressure. In this case, the halter is the motivator that delivers the cue to the horse. The release indicates to your horse that it has done the right thing. If you’re riding your horse and you want more speed, you’ll first motivate by squeezing or bumping with your legs. When the speed you want is achieved, you stop the pressure. The motivator here is your leg. Employee One arrives at work early every day, happy to be there and ready to perform a good day’s work. Employee Two goes to work every day, but is often the last one in the door. Although slow to get going, once on the job their work can be generally good. Employee Three gets to work late and misses entire days regularly. On the job, this employee performs poorly. Repeated reprimands have little or no effect. As time goes on, this employee does less and less each day in an effort to find out how little he can do and still pick up a paycheck. Figure out what type of “employee” your horse is, and then find an appropriate motivator. You can’t take away your horse’s food or water (a form of paycheck), but you can take steps that an employer might take in setting consequences for inaction. Both Employees Two and Three need to be reminded the basics of their job. If your horse falls into either of these categories, it has somehow learned that ignoring your legs is an acceptable answer. Resorting to spurs in such cases will only make your problem worse and you could even end up training your horse to ignore your spurs. These horses need to go through some of the same steps that a young horse goes through to learn forward motion. This includes everything that must happen before a horse’s first ride such as groundwork, voice cues and moving forward using a dressage whip or something similar. Then, the same lessons need to be reinforced from the saddle. First, thank you for being aware and for asking for help. Spur marks are such an important issue that there are USEF and Fédération Equestre Internationale (FEI) competition rules addressing them. The term “spur marks” can mean a whole host of things—from a raised welt to bald spots to raw skin to bleeding. I had a sales horse once that arrived with what I will call spur sags—the skin was quite loose in the spur area, making him very prone to swelling or marking even if a spur was worn but not used. For this horse, who was competing at the FEI level, it was an issue because spurs are required at that level. You have not told me what level your horse is schooling or whether he has experienced any recent health or weight changes or if you have purchased a new saddle. I recently dealt with a rider who wore a small Prince of Wales spur that left bald spots on her horse. That horse was suffering from health issues that made his skin sensitive and he had excess weight from his previous situation. The rider had to temporarily use a spur that was not legal for competition. We also addressed her leg position as well as pressure to correct the problem permanently. The horse lost excess weight, and eventually there was no longer a problem using the original, smaller spur.Sometimes when a horse and rider begin working on collection or are introduced to a double bridle, communication issues can arise regarding contact and throughness, putting the horse behind the leg, which might then be addressed by spur rather than the contact. In this case, make sure that the front door is left open (give the horse space in front) so that energy flows freely forward from back to front, and examine how and why you are riding with spurs.Spur marks are commonly caused by:• Health issues that make the skin more sensitive, such as allergies, edema and excess weight.• Changes in tack (e.g., a new saddle that puts the rider’s leg in a different position due to saddle fit or location of stirrup bar).• Changes in the rider’s own body (back or hip issues).• Changes in the rider’s equipment (e.g., new boots, spur position, using half chaps or full chaps, etc. ).• Changes in the horse’s movement.Most importantly, you must treat the symptom and then get to the cause. If there are issues with the skin or hair, be sure to address them using appropriate topical preparations. Some horses are more or less sensitive depending on winter coat or body clipping. Some swear by a spray-on coat polish to that area while others use a body-glide stick or ointment.Here is a list of things that you can try to address simple mechanics: • Try a different type of spur—longer, shorter or the plastic roller type. Sometimes the shape of the spur arm that wraps around your boot can be the cause or a combination of the length of spur, position of your leg and the shape of the horse’s side. • Raise or lower your stirrup to make your leg placement more correct or effective. Sometimes it’s the boot that a rider wears that interferes with an appropriate leg position. • Have someone videotape you riding, and see if you have a “noisy” leg. Are you inadvertently spurring your horse or gripping him? • Check your position. Is it correct? Is your core engaged? Are you sitting evenly? • Ride with two whips (no spurs) to allow the spur area time to heal while finding alternative ways to keep your horse in front of the leg. 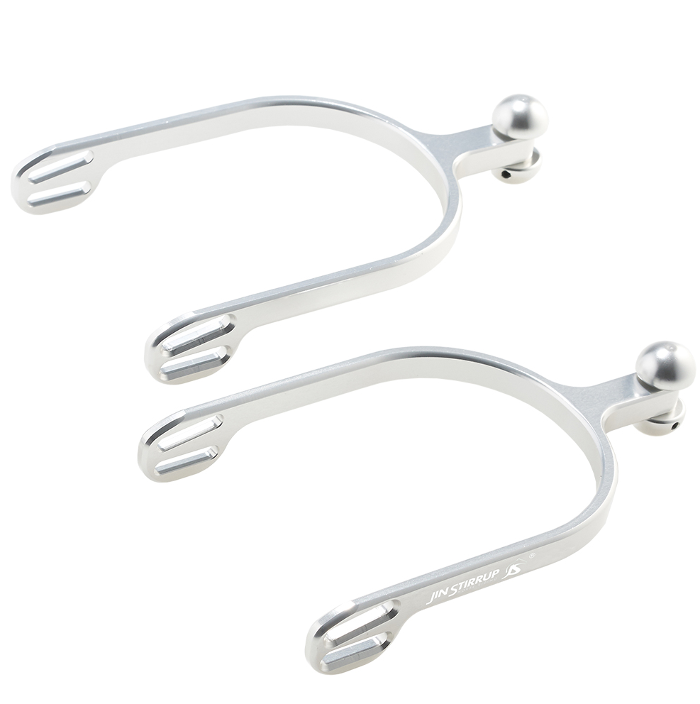 • Teach your horse to respond promptly or be more sensitive to your aids so you don’t need a spur, or if a spur is required, so that you don’t need to use as much spur. 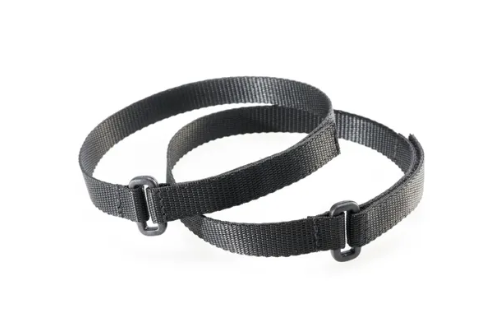 In general, spurs are used as a refining aid, which is why they are required at the FEI level and part of the reason whips are prohibited. It is a demonstration of the highest level of training and understanding between horse and rider. Good training is based on communication. Whisper so that your horse may learn to hear you better. One of my favorite phrases that I use while teaching is, “The less I do, the more I get.” Since good riding and training are all about communication, I try to use the least amount of “words” with the lowest “volume” possible to tell the horse what to do. Horses are magnificently sensitive creatures who are wired to instinctively listen to the most subtle cues of their herd in order to survive. Kari Garber is a USDF silver medalist and is a member of Dressyringen (Swedish equivalent of USDF gold medal). She has worked at Flyinge, the National Stud of Sweden. A native of Sweden, she relocated to Florida in 2005, where she owns and operates Finesse Farm (finessefarm.com).